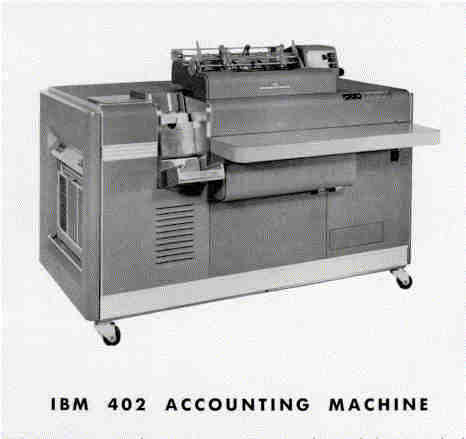 The IBM 402 accounting (tabulating) machine, 1948, was an "improved and modernized successor to the 405 accounting machine, the choice of type number notwithstanding" . 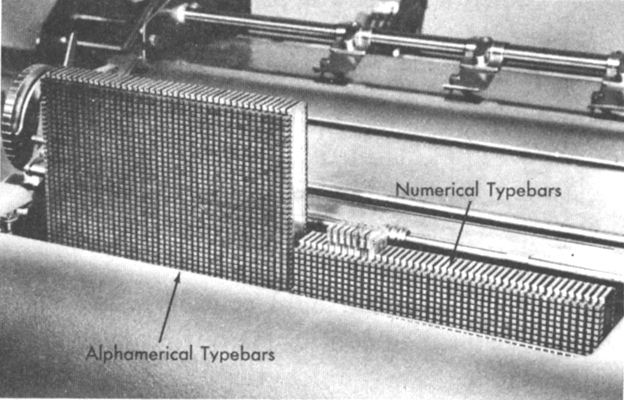 The 400 series of machines was used to read standard 80-column IBM cards (at speeds of 80 to 150 cards per minute, depending on options), accumulate sums (of positive and/or negative numbers), subtotals, and balances, and to print reports on its integrated printer, all under control of instructions wired into its control panel, that specified which card columns to accumulate in which counters and how to format the report. The 402 rented for $290 per month in 1955. The 402 series, like the 405 before it, used a typebar print mechanism, in which each column (up to 88, depending on model and options) has its own type bar. Long type bars (on the left in this photo) contain letters and digits; short ones contain only digits (each kind of type bar also includes one or two symbols such as ampersand or asterisk). Type bars shoot up and down independently, positioning the desired character for impact printing. 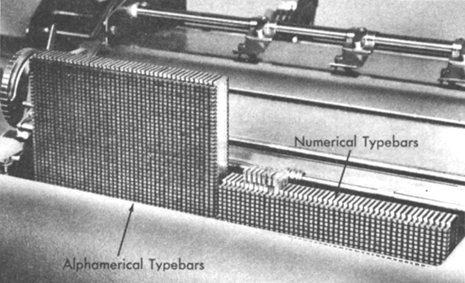 The arrangement of typebars suggests the most common application for these machines: spreadsheet-like columns of numbers, with alphabetic labels for each row on the left. You can see typebars in action (but on a 405 rather than a 402) in the 1944 film, Wing and a Prayer. Typebars were used until the 407 (1949), which was equipped with faster type wheels. 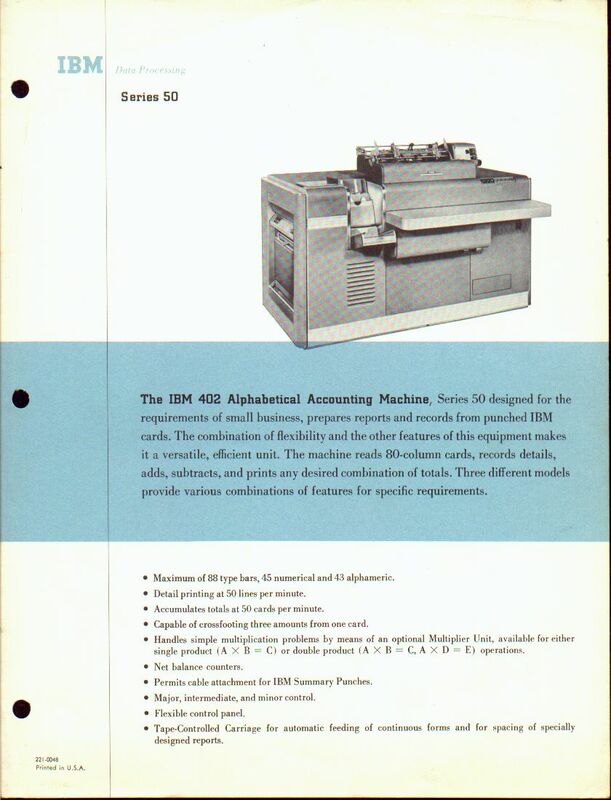 The IBM Card-Programmed Electronic Calculator Model A1 Using Machine Types 412-418, 605, and 941: Principles of Operation , International Business Machines: Third Edition, Form 22-8696-3 (1954). IBM Tabulators and Accounting Machines.